Come and join us at a meeting or activity. 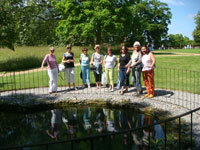 Welcome to the Thames Valley American Women's Club Site. We would be thrilled to have you join us! The membership year runs from June 1st to May 31st. Click here for Membership form. Just £10 per year gives you access to the member directory, Club newsletter and paid club activities. We make every attempt to make you feel welcome when you are so far away from home. We remember how it feels to adjust to a new life. Come share a cup of coffee, a laugh, and a smile with us! We publish a directory of members each Fall and send out update attachments monthly. Information included in the directory allows members to locate other women in their area, families with children of similar ages, women with similar interests and those very important birthdays! We hold general meetings on the second Tuesday of the month. Meetings feature speakers on a wide variety of topics. Meetings also offer members the opportunity to sign up for activities and events or just chat over a cup of tea. There is always the option to keep chatting and join the Lunch Bunch following the meeting. We offer a variety of daytime and evening activities that allow members to learn new skills, see new places and just have fun together. 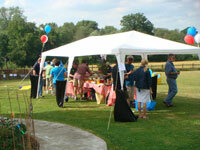 While most activities are for the members, we do have events and activities for couples and families as well. Specific information is available in Activities section of this website. TVAWC offers a buddy system to insure you have someone in your area ready and willing to answer your questions and help you when needed. For more information, go to the Welcome Wagon section on this website. In this website, we offer lots of information to help you deal with the challenges of life in the UK. Both national and local information is included. New members also receive this information in a Word Document for their personal use. Anyone interested in our group is welcome to attend a general meeting and two activities of your choice before joining.